Google’s R&D team has looked into making internet-connected toys that control smart home appliances. The three-year old patent was spotted recently by the legal technology firm SmartUp. 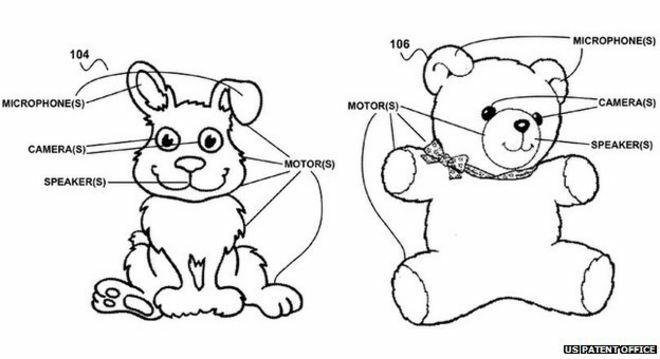 It described the proposal as “one of Google’s creepiest patents yet”. Privacy campaigners have also raised concerns. A spokeswoman for Google was unable to say whether this was a product the firm might develop and sell. “We file patent applications on a variety of ideas that our employees come up with,” she said. “Some of those ideas later mature into real products or services, some don’t. Prospective product announcements should not necessarily be inferred from our patent applications,” she added. The patent was originally filed back in February 2012, but has only just been published. Its inventor is named as Richard Wayne DeVaul, whose job title is “director of rapid evaluation and mad science” at Google X – the firm’s secretive “skunkworks” lab. 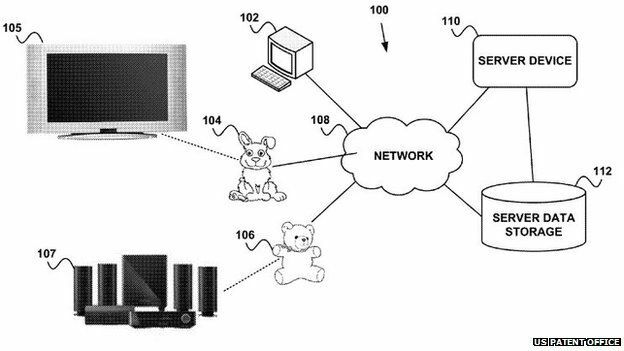 The patent describes how the toys would include microphones, speakers, cameras and motors as well as a wireless connection to the internet. 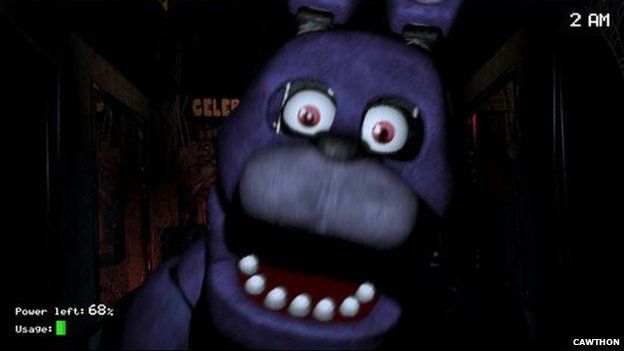 It states that a trigger word would cause them to wake up and turn their gaze towards the person addressing them, and would be able to check if the person talking was making eye contact. The document suggests the device could respond both by speaking back and by expressing “human-like” expressions of interest, curiosity, boredom and/or surprise. “To express interest, an anthropomorphic device may open its eyes, lift its head and/or focus its gaze on the user,” Mr DeVaul wrote. Drawings show that the machine could be made to look like a bunny rabbit or teddy bear, and the text suggests other alternatives that include dragons and alien life forms. The patent adds that making the device look “cute” should encourage even the youngest members of a family to interact with it. “Young children might find these forms to be attractive,” it says. The document suggests the toys could be used to control a wide range of devices, from televisions and DVD players to home thermostats, motorised window curtains and lights. It adds that they might prove so popular that families would wish to buy several, placing them around the house including inside their bedrooms. 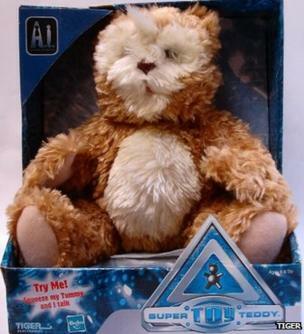 The idea echoes the “super toy” teddy bear featured in Stephen Spielberg’s 2001 movie AI. But Mikhail Avady, from SmartUp, said he thought it belonged in “a horror film”, and the campaign group Big Brother Watch has also expressed dismay. “The privacy concerns are clear when devices have the capacity to record conversations and log activity,” said its director Emma Carr. “When those devices are aimed specifically at children, then for many this will step over the creepy line. “Children should be able to play in private and shouldn’t have to fear this sort of passive invasion of their privacy. It is simply unnecessary,” she added. The Center for Democracy and Technology – a research group that helped shape child protection laws in the US – said that parents would have to be “especially vigilant” over the coming years, whether or not Google ever put such toys on sale. “In general, as technology moves forward, markets will offer a steady stream of products that push or even break mainstream social norms – on privacy as well as other things,” said its director of European affairs, Jens-Henrik Jeppesen. “Responsible companies will understand they need to provide full transparency about how such devices handle data. “Some consumers may find such products appealing – I suspect most will not,” he added. Google is not the first firm to see the appeal of a family-friendly voice-activated control for the home, as an alternative to using remote controls or smartphones. 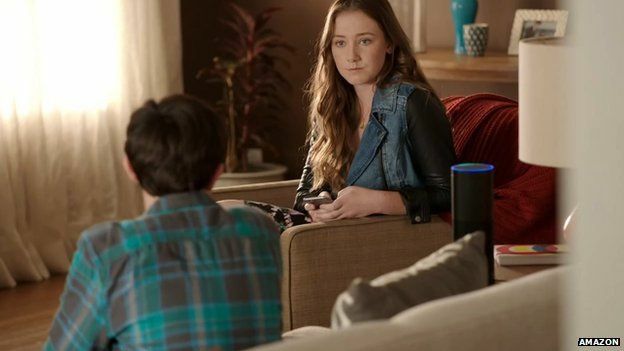 Amazon already sells the Echo in the US – a cylindrical internet-linked device that can be used to control music playback, check the weather and order food. A marketing video for the device shows children using it. But the fact that it does not look like a toy may have helped it become relatively uncontroversial. By contrast, Mattel’s recent announcement of Hello Barbie – a doll that uses a wi-fi connection and voice recognition to chat with young girls and recall things they said in earlier conversations – has prompted a backlash. A lobby group called the Campaign for a Commercial Free Childhood has launched petitions calling for the toy firm to drop the idea. The petitions have attracted more than 42,000 online signatures. Pingback: which theory has been accused of simply naming rather than explaining behaviors?